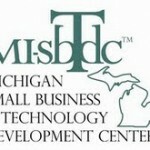 The ATHENA PowerLink Program of Washtenaw County is a mentoring program designed to connect women business owners with a skilled advisory panel. What is the ATHENA PowerLink Program? The advisory panel, which is made up of lawyers, bankers, accountants, insurance agents, and business advisors, provides free business consultation for one year. The panel consults to help the business owner achieve networking, capital, operational, and strategic goals. The program also helps enhance the business owner’s leadership and management skills for future business endeavors. What are the responsibilities of the participants? Provide a meeting agenda and appropriate materials for review, such as financial statements, business plan, etc. What is the role of the advisory panel? The advisory panel is a group of business professionals who want to give back to their communities. They work one-on-one with the business owner for one year, helping her develop and implement her business plan and strategic goals. The group’s coordinator is responsible for leading meetings, reviewing progress, and compiling results.